Our creative team includes some of the most highly skilled audio-visual technicians in Europe, and our unique approach to sponsorship means that budget is no barrier to delivering a well-produced, impactful and professional event. LED screen hire for events large and small. For audiences small and close, or large and far, we have an LED screen with the right pixel size to match. Whatever your requirements, we can source the right av and production equipment to help you deliver a professional and impactful event. We understand that organising large events can be extremely stressful, especially where complex audio-visual equipment is involved. 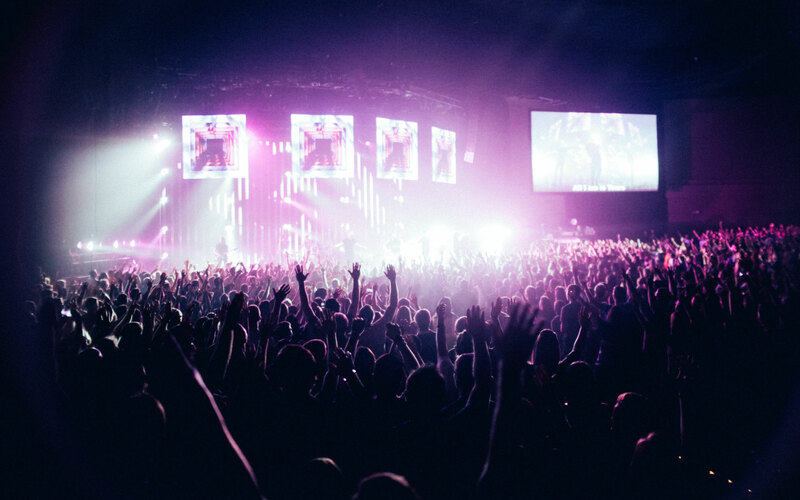 We have a broad range of expertise from producing big sporting events such as the Tour de France and Sky Sports Boxing, to stage managing large scale music festivals such as Leeds Festival, Bestival and Bingley Music Live. Our specialist team of experts have creatively coordinated all aspects of event production, from staging and lighting to audio visuals and even pyrotechnics for A-list artists including Bryan Adams, Noel Gallagher and Rhianna. We have also produced large events for major corporate clients including Microsoft and HSBC. From sourcing your equipment to specialist technical support on the night, and even helping you fund your event through carefully targeted sponsorship and advertising packages, our end-to-end service means we’ve got everything covered to take the stress out of managing your event and deliver something with a real ‘wow’ factor.